I’ve mentioned before the odd melancholy that comes from seeing extraordinary birds while knowing that the extraordinary circumstances that brought them to my local patch also mean they’re likely to perish far from home. This winter is providing a far more ordinary melancholy: the weather is bad enough that the birder feels like she may perish too. From Pine Siskins and Common Redpolls in Central Park to Snowy Owls and Bohemian Waxwings on Long Island to Gyrfalcons and even a one-day wonder Boreal Owl up the Hudson Valley, the first two months of 2015 have broght in a fair helping of great birds, and in keeping with my (be it ever so modest) big year goals, I’ve chased a fair few of them. Unfortunately, I’ve been dipping a lot – public transit does not lend itself to rapid response. And dips hurt even more when your nose is frozen shut. That has made the intermittent triumphs all the sweeter, though. That Common Redpoll at the Evodia Fields feeders, for instance, and the Northern Saw-whet Owl I finally found on my second trip to Forest Park. And, most recently, I returned to Bush Terminal Piers Park, where I saw an Iceland Gull a few weeks back, to try once more for the long-staying Eurasian Wigeon. I’ve only seen this handsome, copper-headed duck once before, years ago – being in Montana didn’t help on that front – and from all accounts this bird was showing well. Except when I looked for it the first time, and it didn’t show at all. I decided to attribute that to low tide rather than my own incompetence. Besides, I’d decided I rather liked Bush Terminal Piers Park – tucked away behind a clot of industry on the coast of Bay Ridge, it’s well-kept and ideal for waterfowl-watching. One of the namesake piers lets you get right out onto the water, offering good views of not only the ducks and inevitable Brant but plenty of gulls (besides the Iceland, Glaucous Gull was reported there recently but missed by me,) loons, grebes, cormorants, and the occasional surprise recorded on ebird – a short-staying Snowy Owl, a single exploring Purple Sandpiper. As I stood on the pier I tried to keep all this in mind, because the wind was kicking up, I’d nearly twisted my ankle on a rock, and the Eurasian Wigeon was still nowhere in sight. I’d checked the pilings where it was said to hang out. There were plenty of Gadwalls, Buffleheads, and Red-breasted Mergansers in bright plumage – lovely birds all – but there was no trace of the wigeon. Scanning the other side of the pier I found a small flock of American Wigeon – known companions of the recent immigrant. Still no copper head with a mustard streak, no matter how I squinted and blamed the light and tried to go colorblind for as long as it took. I circled inland, where I saw a fellow birder who sadly reported nothing exciting. Just as we met a flock of American Tree Sparrows popped up – not exactly a rarity, but certainly a solid winter bird. A lone American Kestrel perched high above, watching the sparrows speculatively. I moved along to the next bit of waterside and left them to it. Observe how my bird photography skills have improved! All the usual gulls were around, but nothing that my inexperienced eye could pick out as a rarity, not even the Iceland Gull from last time. A few Scaup bobbed in the water with yet more Buffleheads, and a single Common Goldeneye made me homesick for the Clark Fork. From this angle I could see the Wigeons much better. They were still all American. I headed to the restrooms, which fact speaks highly of the park. The bathrooms here are among the best I’ve seen – brand new, well-maintained, and clean. I hope that they’ll be kept up. Warmed and more comfortable, I decided to try the first pier once more before I called it a day. The sun had shifted a bit and the water was higher – and birds move. Maybe the Wigeon would cease toying with me. Halfway up the pier, I spotted another knot of American Wigeon, and sure enough, this group included one individual with the tell-tale red head. It posed nicely for me next to an American drake in equally lovely plumage, and then the whole group began moving out and around towards an area beyond the boundary of the park. I watched until they passed out of sight behind another pier. It was a heartening feeling, and only slightly dampened by learning that birders at the same park earlier in the day had gotten everything I got plus a Red-necked Grebe and a Common Scoter. Winter will, hopefully, soon be at a close, so the time for chasing cold-weather specialties grows short. Of the ones I’ve not yet gotten, Pine Siskin seems like a must – they rarely show up two winters in a row – but it’s difficult to prioritize otherwise. Do I pursue the sporadic, maybe-not-really-a-species Common Teal? The seemingly-now-annual-but-you-can’t-exactly-count-on-that Snowy Owl? The lucky-if-I’d-recognize-it-if-it-bit-me first-year Mew Gull? And there are a lot of winter regulars that would be better to polish off now than risk missing later – the Canvasbacks, Long-tailed Ducks, and Purple Finches of the world. And, even as the ducks brighten their plumage and the Black-capped Chickadees test out their spring songs, it’s still so cold. I know from experience that dips hurt worse when you have to put extra time and effort into getting there by public transportation (and may only get one chance to to try for it). We hope your weather improves soon and would love to read your 2015 list so far! Are you going to have it added to the bottom of the page? I should do that. Probably on the next day that it’s too cold to go outdoors. When I saw “Bleak”. I misunderstood. I have 18 species at my feeders here in western NY and with sections on the Great Lakes frozen that don’t usually freeze, again like last winter waterfowl that need fish are going to starve. We had 250,000 mergansers, grebes, and other divers die along the Niagara River, harbor.. It was terrible and this is going to be another one…. Please support your local wildlife rescue as they are going to need our help…. Yes, as always, unusual conditions can make for hard times for the birds… aside from food access, bitter cold means that they require a lot more energy. I spotted a dead brant along the pier on my first visit to Bush Terminal Piers Park. I suppose it is a bonus for the gulls and other scavengers though. Congrats on the Eurasian Wigeon! 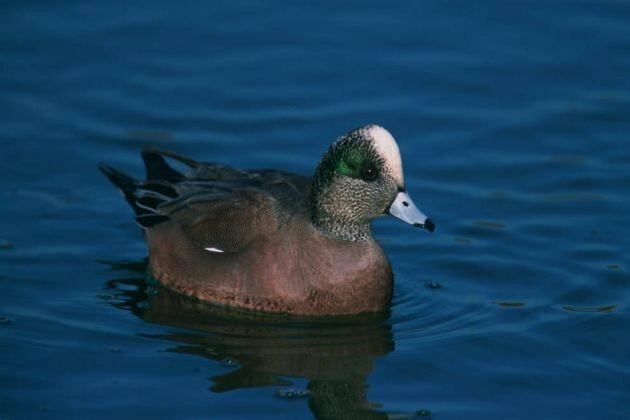 I’ve been meaning to visit Bush Terminal Piers Park, I hear good things about it from the Brooklyn birders, and the wigeon is one of the attractions. Being one of those birders who use a car, I find myself dreading the traffic, so I never go. Sometimes it’s good to bird by public transportation. Donna, you should definitely check it out. As I said, I’m interested in how it’s going to evolve – the areas that are fenced off for habitat restoration right now look promising. 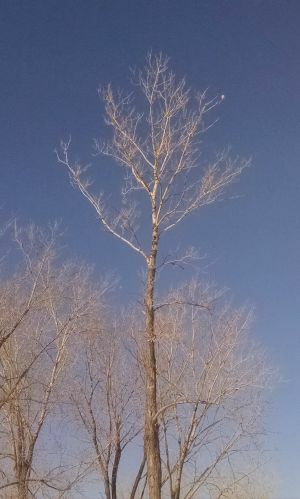 I’d swap your cold-with-blue-skies for our mild-but-constantly-overcast winters any time. Hey, you’d even get to keep your Euro Wigeon!